Did You Know? For the average American household, almost half of the annual energy bill goes to heating and cooling - more than $900 per year. Being smart about how you control your temperature settings with an ENERGY STAR® certified smart thermostat will help you save money and stay comfortable in your home. What is a smart thermostat? 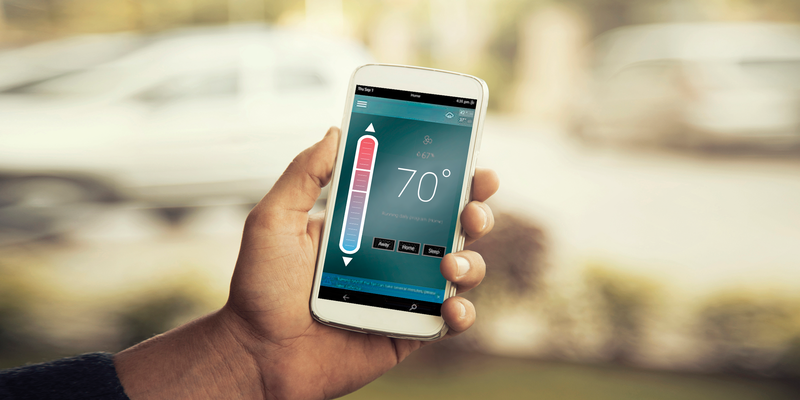 A smart thermostat is a Wi-Fi enabled device that can automatically adjust heating and cooling temperature settings for optimal performance. Smart thermostats that earn the ENERGY STAR label have been independently certified, based on actual field data, to save energy. Learning your temperature habits and establishing a schedule that automatically adjusts to energy-saving temperatures when you are asleep or away. Providing home energy use data that you can track and manage enables you to target family behavior patterns that might be contributing to a higher bill. Provide tailored functionality and service that deliver energy savings that make sense for the individual homeowner. You can try out the programmable thermostat tool from ENERGY STAR to see what you can save with set-back temperatures that work for your family. Installing an ENERGY STAR certified smart thermostat could add up to significant savings for your family - and for the planet. If everyone used an ENERGY STAR certified smart thermostat, savings would grow to 56 trillion BTUs of energy and $740 million dollars per year, offsetting 13 billion pounds of greenhouse gas emissions. This factsheet provides additional useful information.